No need to bring flours. – Where Is My Teaspoon? No need to bring flours. Easter holidays- thank chocolate! College is almost over forever so pressure is on for exams but always time to bake and relax. Don’t know if you all saw, but this month I was a guest blogger for Delicious here in Cork. As they are a gluten free bakery I decided that a flourless recipe was called for! Funnily enough, whenever I think of flourless chocolate bakes, I always feel like they should be orange flavoured but, of course it doesn’t have to be. 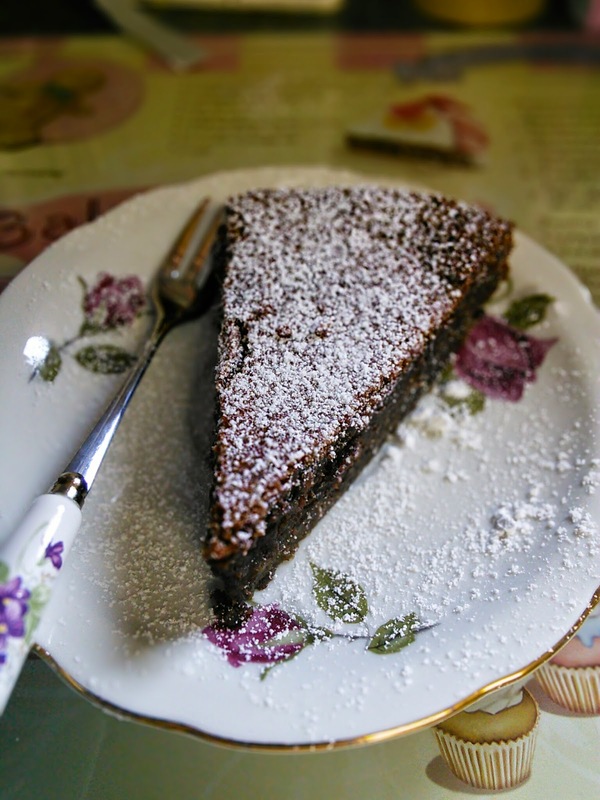 Here is a Ground Almond Chocolate Cake! Have a peak at my new pastry forks, I am obsessed with them! Find yourself a 23cm cake tin but make sure you can loosen the sides on it, this will make it easier to them out later. Preheat your oven to gas 4. Over boiling water, melt your butter and chocolate in a heatproof bowl. Add a pinch of salt here to further bring out the chocolate flavour. 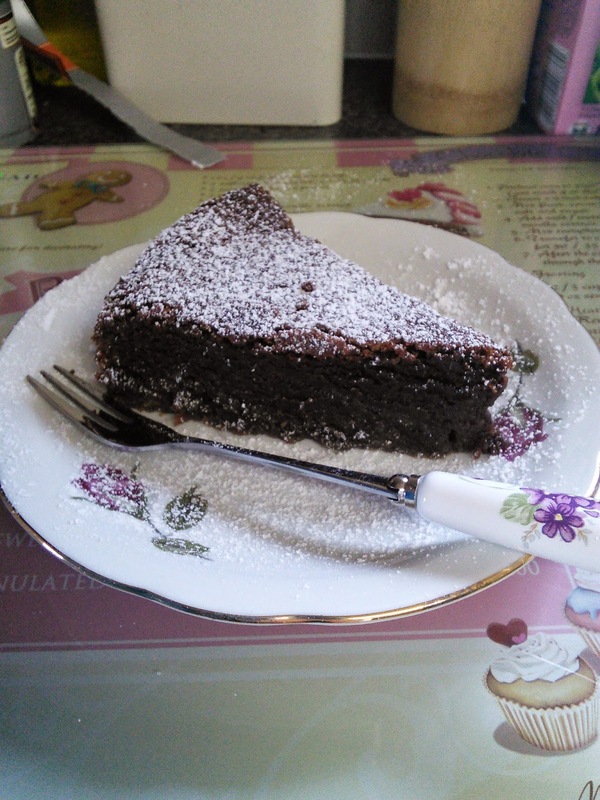 When I bake, I usually use chocolate with 70% of cocoa solids which gives a deep, rich flavour. If you want it to be sweeter, maybe try 100g at 70% and 100g at 35%. Once your chocolate has melted, take the bowl off the heat and leave aside to cool. Crack your six eggs into a big clean bowl and add your sugar. 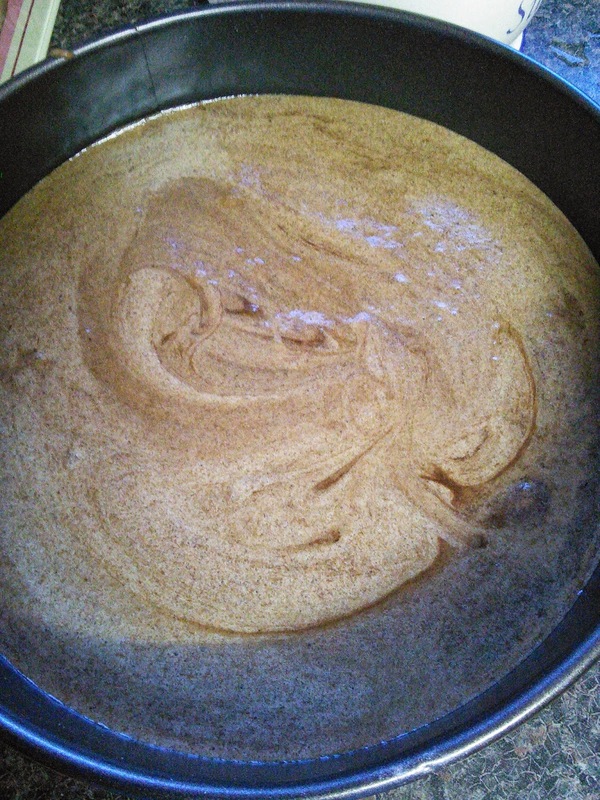 Get yourself an electric whisk and beat the eggs and sugar until pale in colour and light and moose like. This will take about five minutes. Add your orange zest and juice if using. Sieve your almonds and cocoa into a bowl and gentle fold this into your egg mixture. Follow with your chocolate and butter mix. Sprinkle with icing sugar and serve with coffee or maybe ice cold milk.